All health care professionnals (HCPs) have the right to conscientiously object on ethical/moral grounds. Abortion is not allowed for non-resident women. Both surgical and medical abortions are reimbursed to resident women when performed due to medical reasons only. 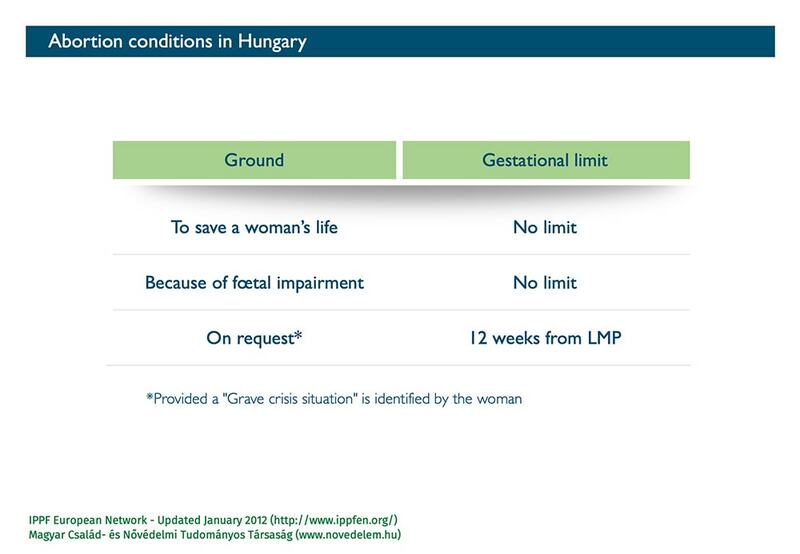 Women have to pay around 90 € (650 € in private clinics) for surgical abortion “on request”. We thank Dr. Gyula CSERMELY for his help in data collection.